These Vintage Halloween Skeleton Dinner Napkins will add a nostalgic feel to your Halloween party table. 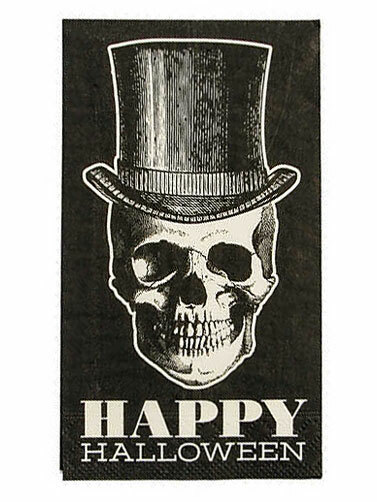 Tall black and white 3-ply paper napkins feature a vintage looking skull wearing a top hat and read "Happy Halloween." Vintage Halloween Skeleton Dinner Napkins measure 7.75"H x 4.25"W. 16 ct.